Lincs Oil Tanks is a small business based in Lincolnshire that offers a friendly and efficient oil tank replacement service as well as servicing oil tanks. 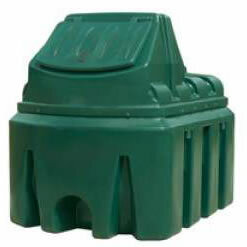 We can install new oil tanks supplying either single skin tanks or bunded oil tanks (double layer). We would be delighted to call and carry out a risk assessment and give you a FREE quote. Distance is not too much of an issue, as we cover areas from South Yorks to South Cambs and as far across as Barnsley, Derby and Leicester. However, a cup of coffee would go down well when we arrive! We are OFTEC registered installers and all work is carried out to current OFTEC regulations and also an accredited Tankmark installer for Halequin Tanks along with being an approved Certas Energy tank installer. We hold 2 million pound public liability insurance and have £10,000 public indemnity insurance, should there be any problems with the installation in the future. There is no excess for you to pay on any of this. Find out more about the business. If you're a little short on time, why not leave us your name, email and contact number? We'll get back to you as soon as we can.